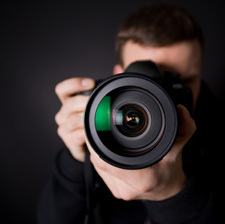 When insurance companies and their lawyers suspect that a claimant/plaintiff has overstated his or her claim, surveillance of that person is often employed. This may arise out of an inconsistent response at a deposition or an observation by an examining physician. The injury alleged simply may not be commensurate with the nature of the accident. On occasion an informant makes contact with the defense and reports the plaintiff’s involvement in strenuous activity that runs contrary to the claim allegations. The plaintiff alleges he cannot and has not worked, but the defense suspects otherwise. Whatever the reason, surveillance can be devastating evidence against the over-stated or fraudulent claim. Care must be taken, however, to protect the privacy rights of the individual. Photographic or video evidence may only be obtained in the public sphere without trespass or direct contact with a represented party. Failure to abide by the rules may result, at best, by losing the case; at worst, by civil litigation against the client, his attorney and the investigator. David B. Watts, Principal Investigator at Allied Business Solutions, has the experience needed in the area of defense surveillance in civil matters for over 30 years. Our field investigators are experienced at obtaining the needed evidence, while protecting privacy rights of the individual.